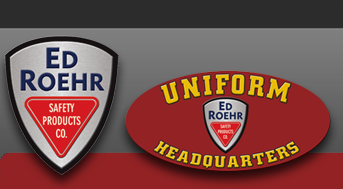 Hats - Ed Roehr Safety Products Co. Hero's Pride Black Knit Hat with Embroid... Hero's Pride Black Knit Hat with Embroidered Gold "Security"
Hero's Pride Black Knit Hat with Embroid... Hero's Pride Black Knit Hat with Embroidered Gold "Sheriff"
Hero's Pride Black Knit Hat with Embroid... Hero's Pride Black Knit Hat with Embroidered White "Police"
Hero's Pride Black Knit Hat with Embroid... Hero's Pride Black Knit Hat with Embroidered White "Security"
Hero's Pride Black Twill Cap Embroidered... Hero's Pride Black Twill Cap Embroidered w/Med Gold "Sheriff"
Hero's Pride Brown Knit Hat with Embroid... Hero's Pride Brown Knit Hat with Embroidered Gold "Sheriff"
Hero's Pride Dark Navy Twill Cap Embroid... Hero's Pride Dark Navy Twill Cap Embroidered w/Med Gold "POLICE"
Hero's Pride Dark Navy Twill Cap Embroid... Hero's Pride Dark Navy Twill Cap Embroidered w/White "SECURITY"
Hero's Pride Navy Knit Hat with Embroide... Hero's Pride Navy Knit Hat with Embroidered White "Police"